When I was at university (back in the Dark Ages) I had to take a statistics course. I knew it wouldn’t go well and it didn’t. I had a book by Derek Rowntree called Statistics without Tears. I remember throwing it across the room and crying “You lied!” You can still get the book, it is actually very good and as I had a maths A-level under my belt you would have thought I would be have been fine with stats. You may remember that I took up the challenge of Project 333 last summer. This year I have decided to reverse the project. 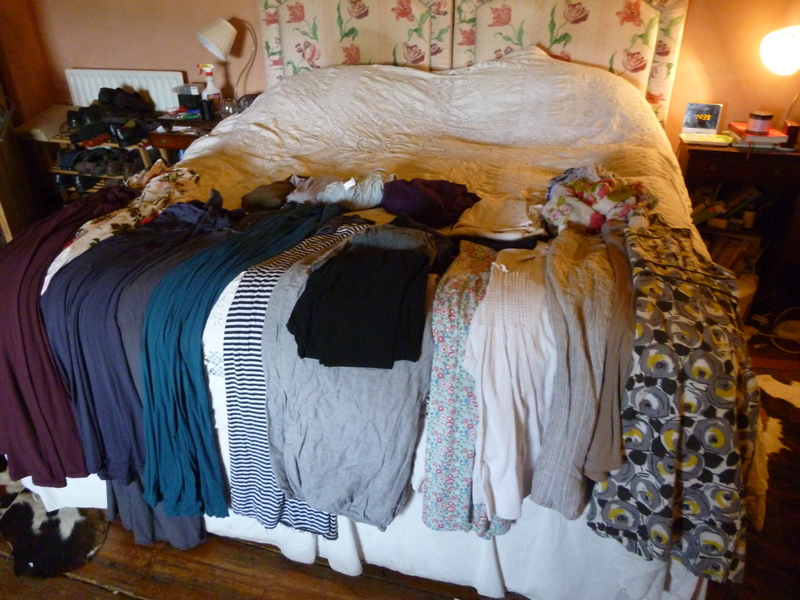 I am keeping a tally of the clothes I wear over a three month period and then restricting myself to those clothes only for the rest of the summer (I am optomistic that it will be a blazing hot day on St Swithun’s day). At the end of month one there is a definite trend appearing. 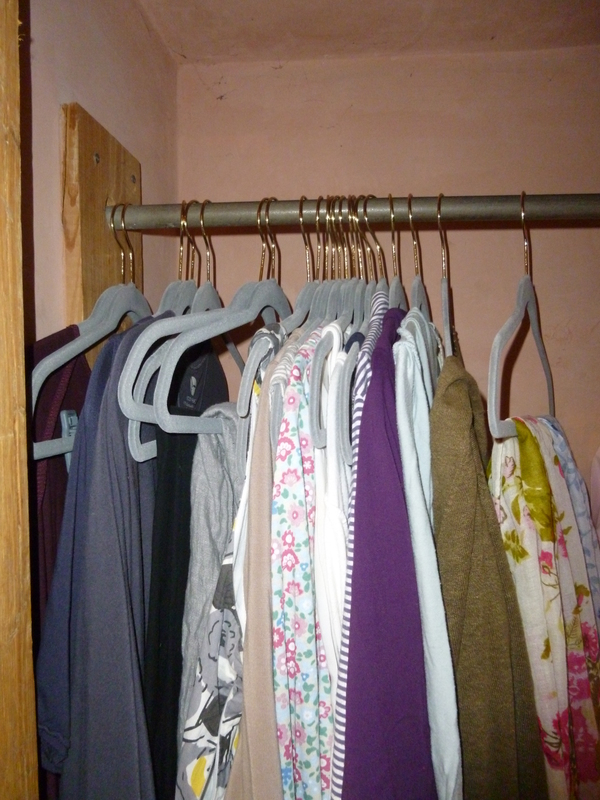 I am wearing almost entirely jersey (bamboo and cotton) and the colours are generally muted with bright accessories. I am wearing more earrings (I used to just put a pair in and leave them) and have discovered I rather like big dangley ones. I rarely wear trousers other than leggings with tunics and I almost never wear a coat. I am usually barefoot or wear Toms or Fitflops. This a big reveal as although I have culled my shoe collection quite severely I still never wear many of them. Regardless of the weather I tend to wear summery light clothes and just layer up if it gets cold. I haven’t worn socks or tights all month. For those of you who would like the figures they are as follows. Bottoms: I have worn 6 bottoms a total of 15 times. Shoes: I have worn 6 shoes a total of 30 times, the fitflops 18 times! Coats/Jackets: I have worn one coat twice and one jacket once. Colours are very blue heavy. I recently had my colours done and I think I am pretty okay with the ones I am wearing but apparently should be wearing more yellow and orange. I hate both of them on me so I can’t see that happening soon.